*This post does contain affiliate links. Thank you for your support. 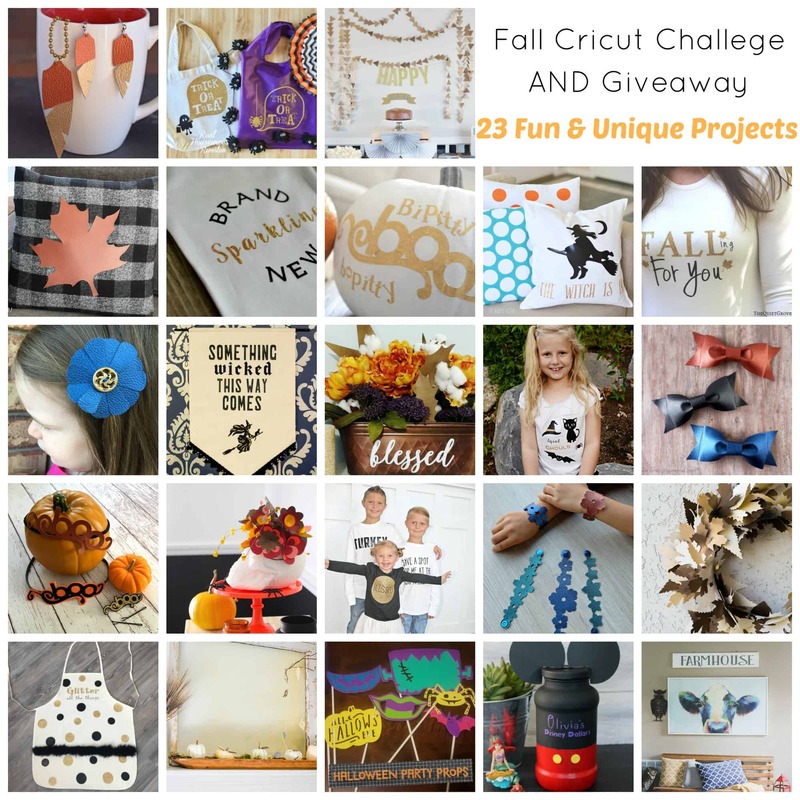 I’m happy to be joining in with other bloggers to share with you our #FallCricutChallenge using some of Cricut’s newest products. 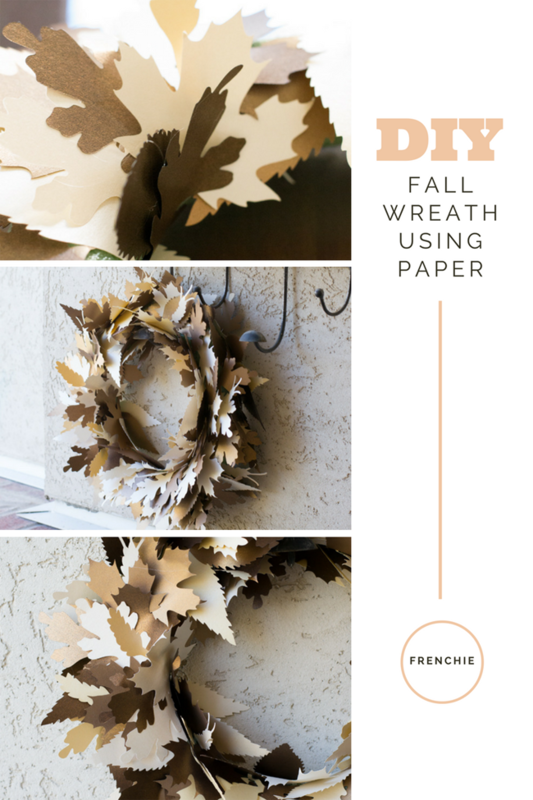 I decided to make a DIY paper leaf wreath using my Cricut Explore and it turned out better than I could ever imagine. 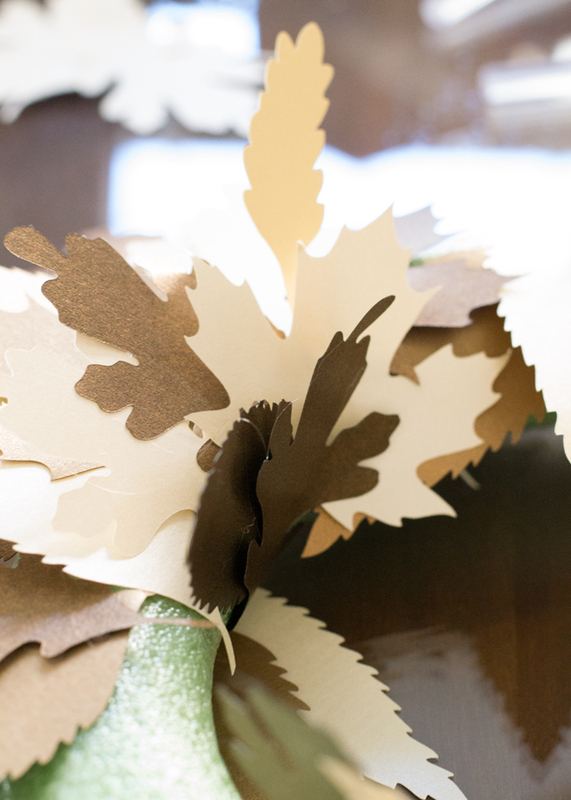 I used the metallic pearl paper and cut leaves like crazy. 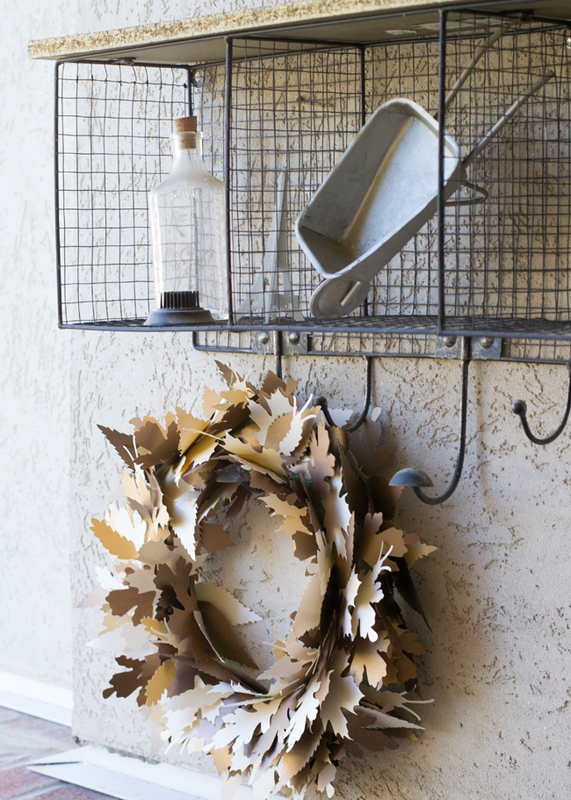 You can get the cut file here and it includes three leaves. If you don’t have Cricut Access yet, get it. It is so worth it. You have access to their amazing shapes and fonts to use at your leisure. 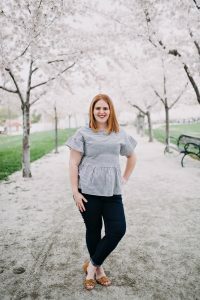 I like this program because you’re not limited to a certain amount each month and you can use what you need and it’ll be worth it because you may just have to use it once. 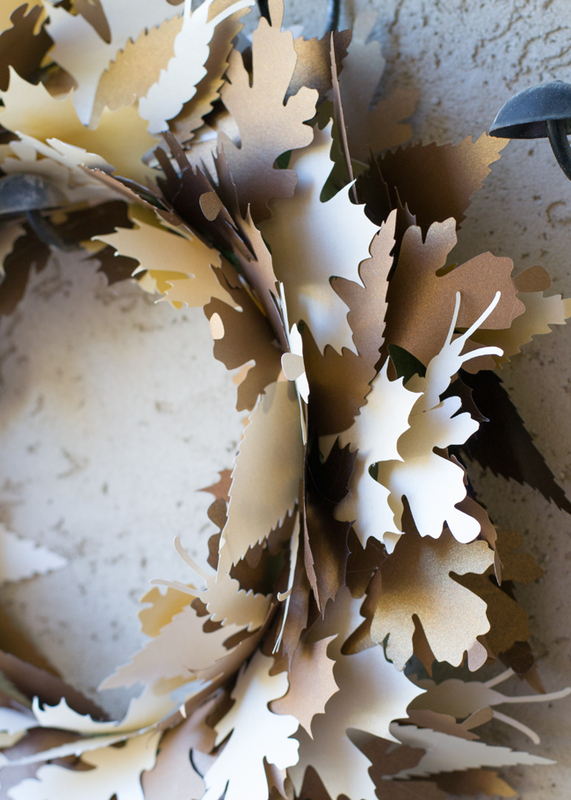 I started by separating my shapes and then I sporadically started gluing them on my wreath base. I started with the larger leaves first so that I could get some coverage. 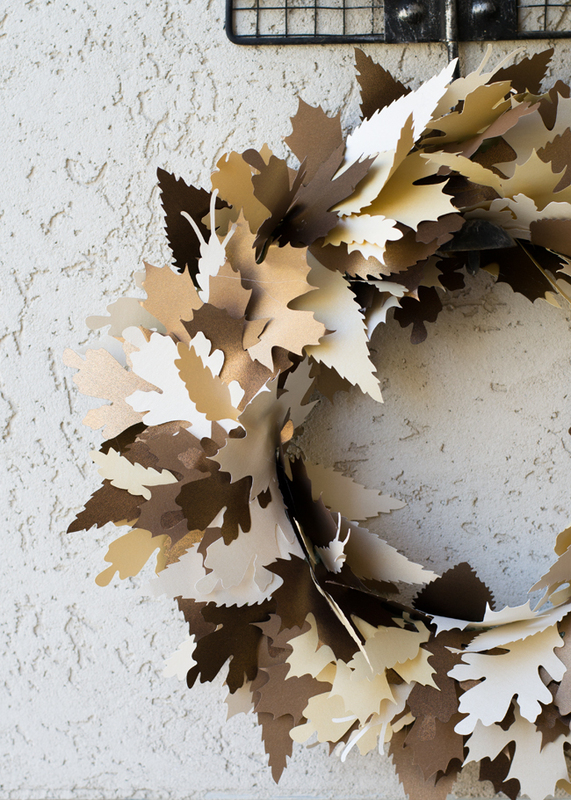 Had I really thought ahead, I would have spray painted my wreath form prior to putting on the paper leaves. Once you have it all filled in to your satisfaction, add some paper wheat stalks and make sure they stick out kind of crazy because the crazier, the better. 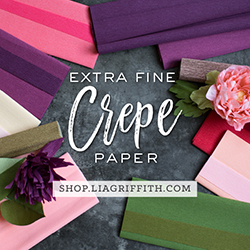 Grab the cut file here. 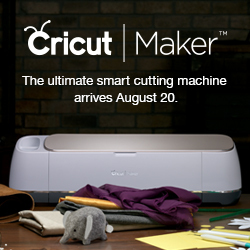 I’m excited to join 22 other super talented bloggers for the Fall Cricut Challenge. 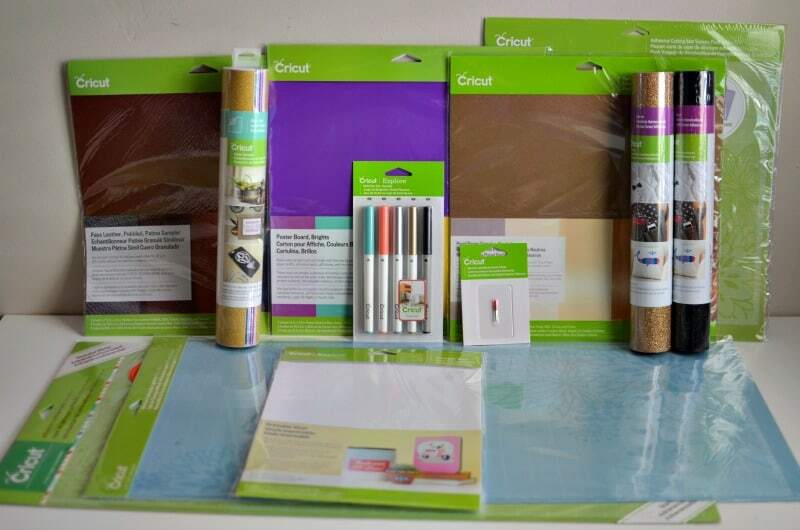 Check out what these talented ladies created below and enter to win a HUGE box of supplies from Cricut! Very pretty Lindsay! It was fun doing the Fall Challenge with you! This turned out so awesome. I can’t wait to make one!